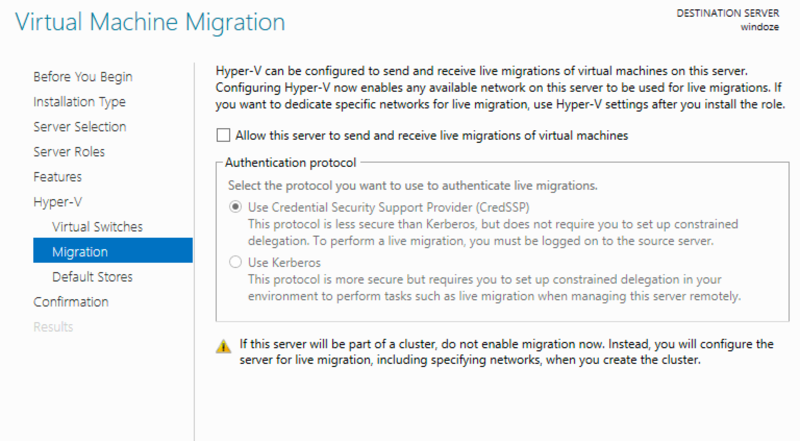 Details about deploying Windows Server & Hyper-V on Packet. 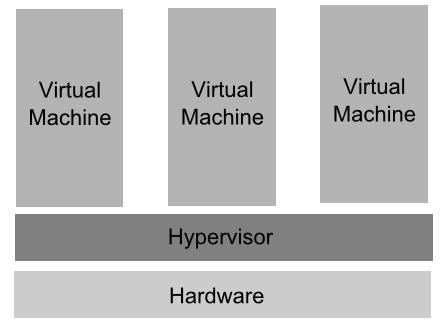 Packet currently offers Windows Server 2012 R2 and Windows Server 2016. A comparison grid of our supported Operating Systems, including licensed OS's, can be found here. 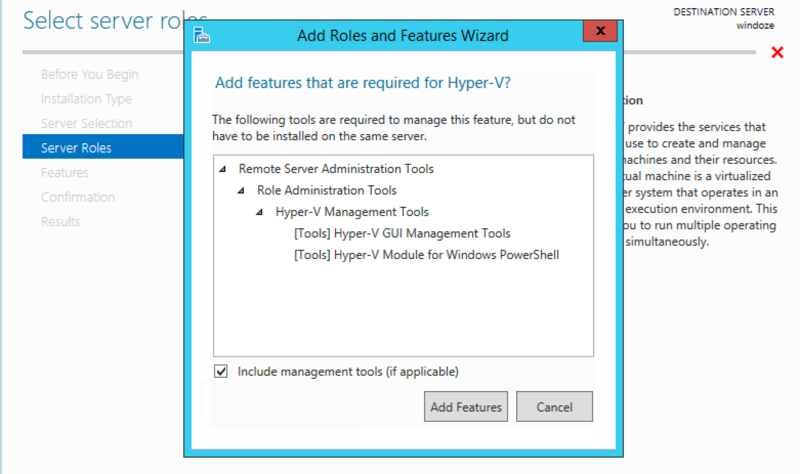 How do you access RDP (Remote Desktop)? Once the server you deployed is Active, you can RDP in as Admin and using the password you will find on the server's details page. OS X/MacOS there many applications for RDP sessions for simplicity sake we suggest Microsoft Remote Desktop client. You can find this through the App Store, or by clicking here. Linux like other OS's have many applications for RDP sessions, one that would work in this case would be Remmina. You can learn more bout it via their FAQ & see screenshots of it in action here. 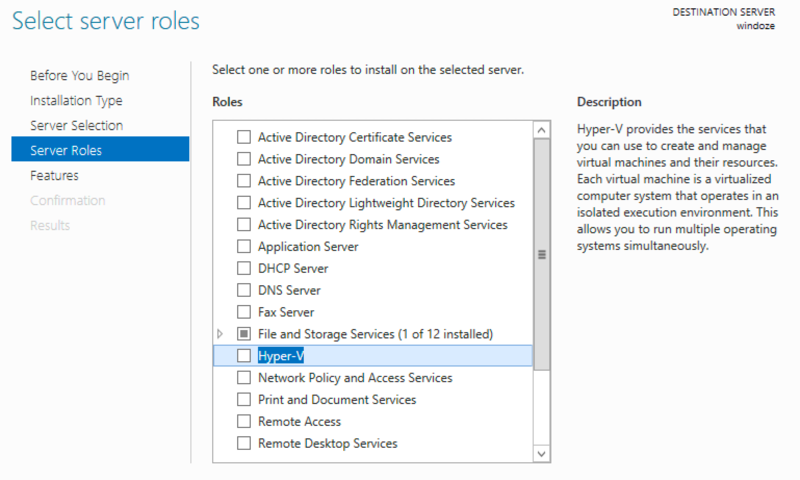 How do you install Hyper-V? It's simple and the same as any typical program installation. 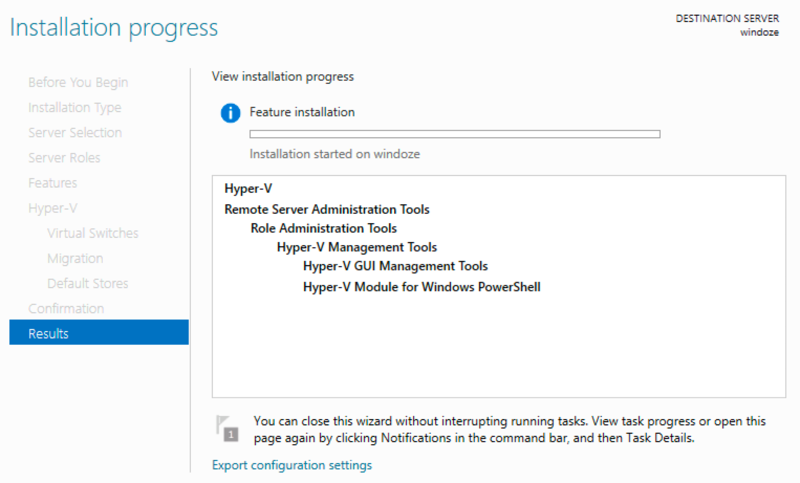 You can activate the Hyper-V role through the Server Manager, and then perform the installation by following the wizard. 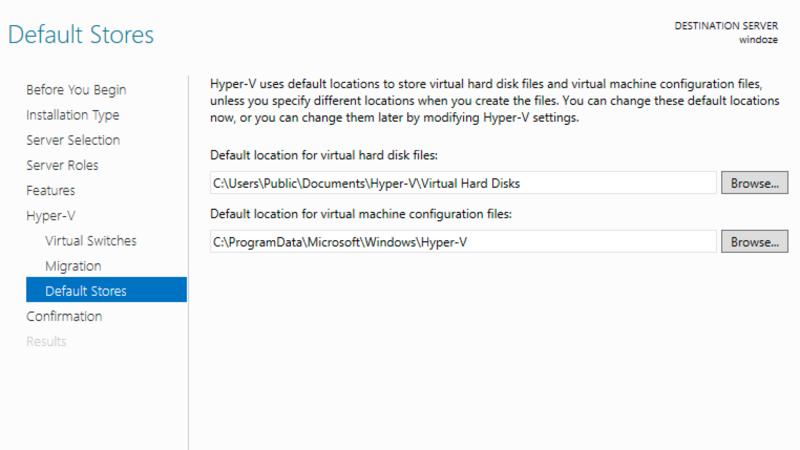 The following screenshots are what you during the activation / installation of Hyper-V.